This post is sponsored by Ball® Fresh Preserving Products by Newell Brands; however, all thoughts and opinions are my own. Thank you for supporting brands that make this blog possible. 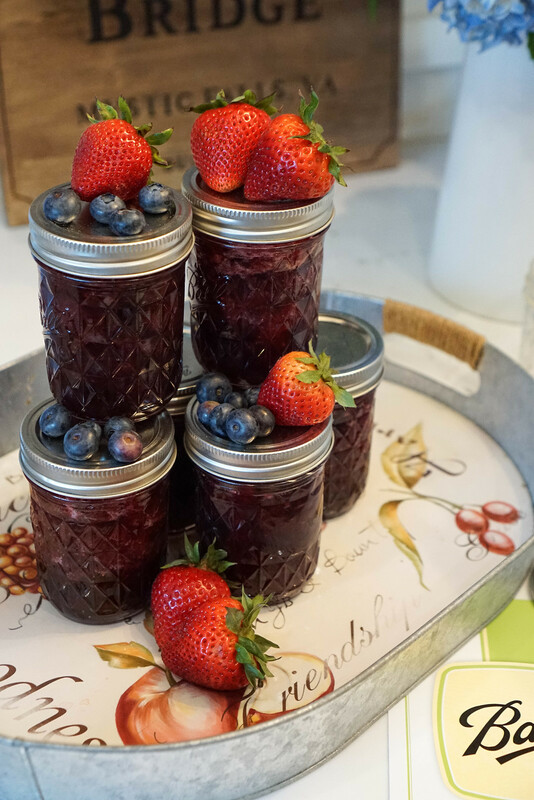 You guys…I think I’m officially adding ’New Canner’ to my resume because I’m hooked on canning! 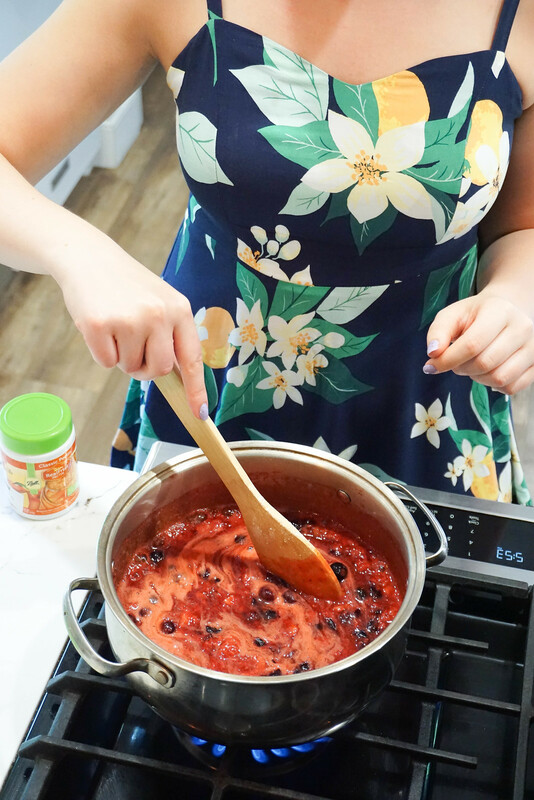 Today I’m sharing how to make Mixed Berry Jam with you! 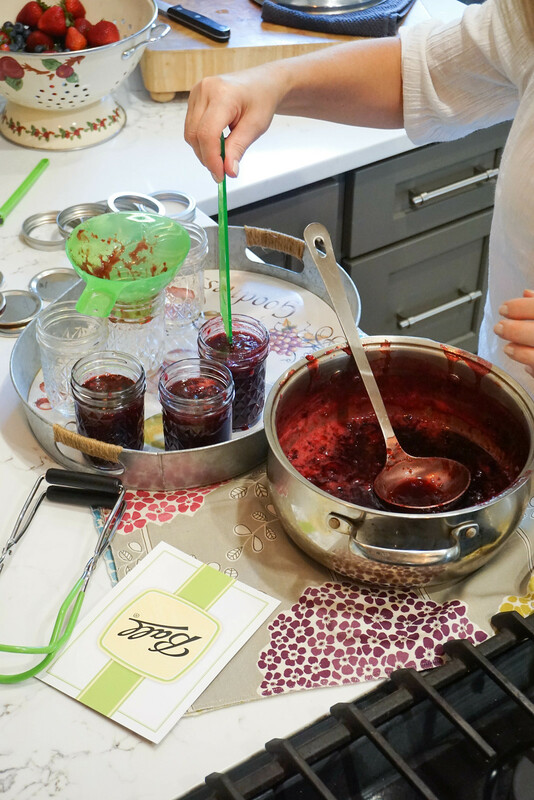 And let me tell you, the hardest part of the entire canning process was not sneaking a taste while we were cooking! The berries smelled SO good while they were cooking I wish there was a way I could’ve shared the smell along with the photos! 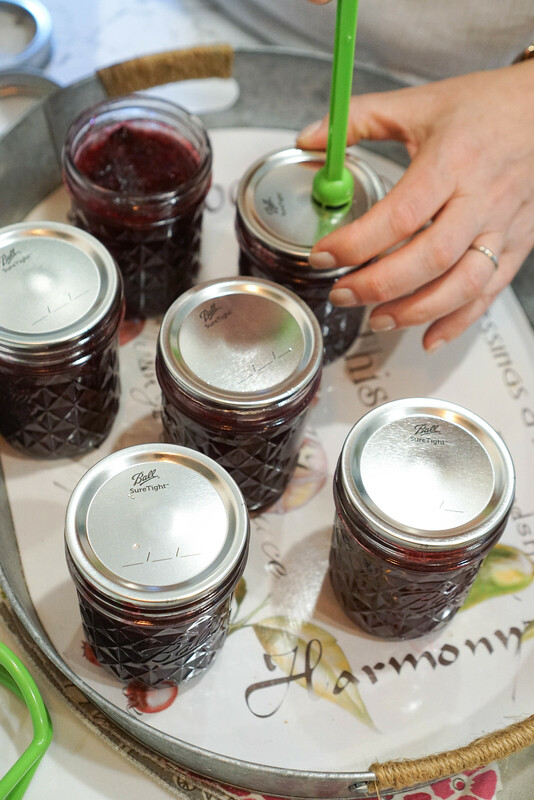 The best part is that once you have all of these tools made by Ball®, you’re set for a Summer (and year) filled with canning! 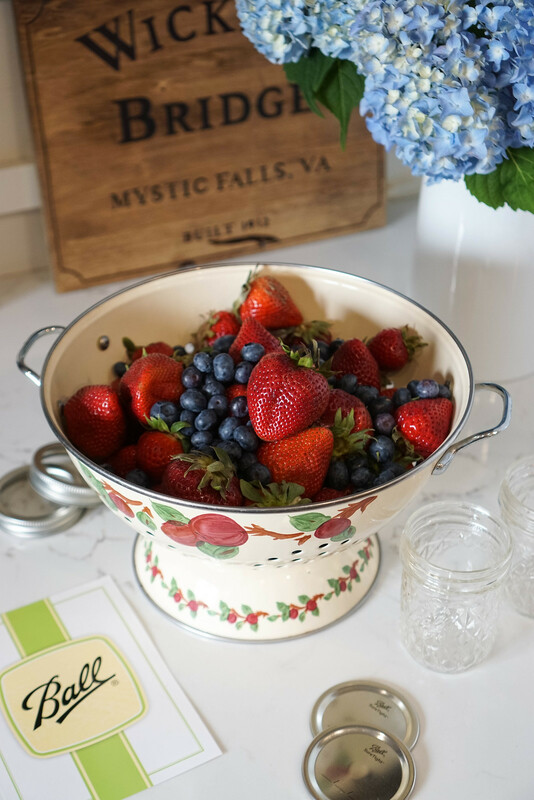 I also highly suggest picking up the “Ball® Canning Back to Basics” Book (that’s where I found the Peach Butter recipe) which is filled with all types of fun recipes to try! 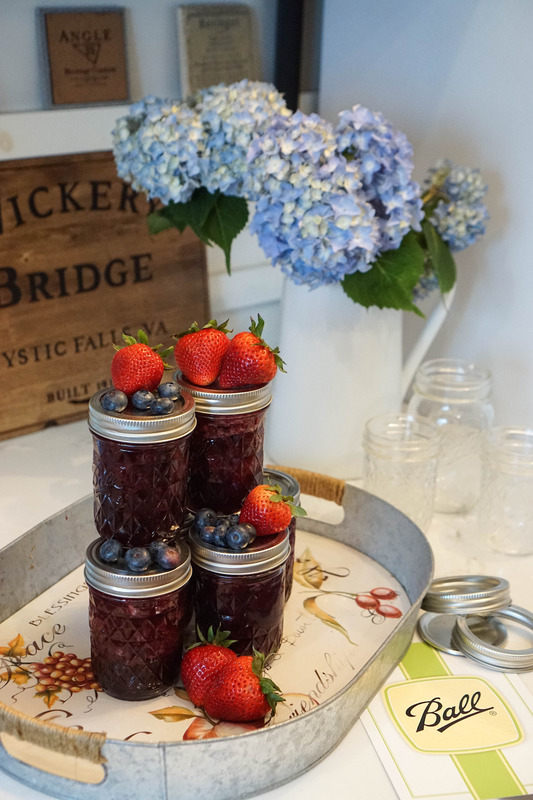 Get the Step-by-Step Recipe for this Mixed Berry Jam right here! 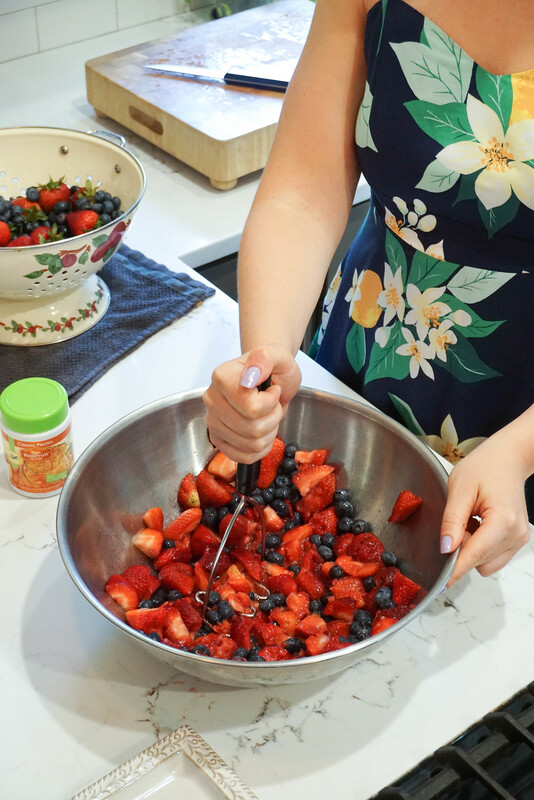 We made ours with strawberries and blueberries, but you can use any variation of berries (strawberries, blueberries, blackberries or raspberries) to make this jam. Have I convinced you to start canning yet? Head over to my Instagram to check out a few videos of our Summer canning adventure on my stories. 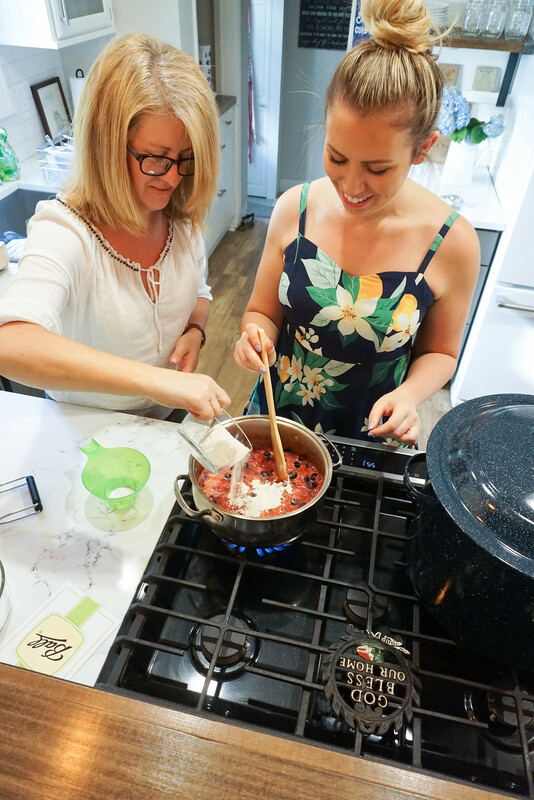 And make sure to check back next month to find out how my Roasted Garlic Roma Tomato Sauce came out!